Democratic challenger Colin Allred, right out-fundraises U.S. Rep. Pete Sessions (R-Dist. 32), left. 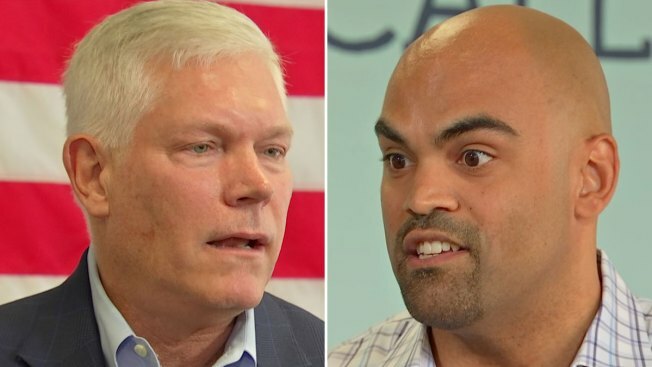 Challenger Colin Allred raised $1 million more than incumbent U.S. Rep. Pete Sessions during the most recent reporting period, signaling that the race for the Dallas-area 32nd Congressional District is one of the most competitive bellwether districts in the country. According to his campaign, Allred, a former NFL player turned Democratic candidate for Congress, raised more than $2.3 million for the period of July 1 to Sept. 30. He spent $1.3 million and had $1.9 million in the bank at the start of October. Read more about this story from our partners at the Dallas Morning News.